There’s no need to complicate things. You just need to consider the ‘3 Cs’ – Customer, Course, and Culture. Before anything else, put the customer in mind. There’s a myth that digital transformation is all about technology, but that isn’t the case. It’s not about automating processes, or making something faster. It’s about redefining a business strategy and delivering customer value, based on the potential of digital technologies. 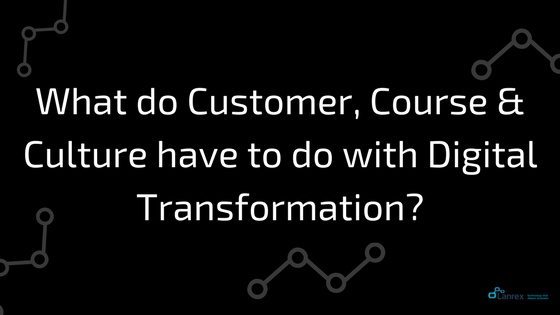 Many digital transformation initiatives fail because they’re technology-led rather than customer-led. It’s not enough to just sell a product or service anymore – companies in the digital age need to eat, sleep and breathe their customers. This means letting them drive your digitalisation strategy. Start by gathering as much data from your customers as you can. You can do this by installing clever analytics behind your website to follow your customers’ browsing journey, or you can create a form for your customers to complete when they make an enquiry online. How do they prefer to get in touch with you? Email, phone, or through your website? Which pages are most popular on your website? How long do they stay on your website? At what point do they leave? Which types of marketing communication do they respond to best? Responses to these questions will help you prioritise your digital tools, but don’t limit yourself to these. Collect information you don’t even think you’ll need – you might find it’s valuable down the track. Once you start making changes based on the data, ask for guidance and feedback from existing customers as well as employees who interact with customers on a daily basis. By focusing on the customer experience, you can make the digital changes necessary to improve your business processes. If you’re the business owner or CEO, then it’s probably up to you to lead the transformation process. Start by drawing a digital roadmap with your executives so you have a plan and a team behind you when you address the rest of the company. You need to communicate to your team the reasons for going through the transformation. Present the roadmap to help build a collective understanding of where the company is going, and create a powerful transformation story. People will go to great lengths for a cause they believe in. Rolling up your sleeves and getting personally involved goes a long way to getting your staff involved. If you model the mindset and behaviour you want to see in your team, they are more likely to cooperate. Be clear on where your company’s heading, but don’t set it in stone. Encourage your employees to explore new digital ideas and contribute to the transformation process. This gets them involved and makes them feel like they’re part of something. 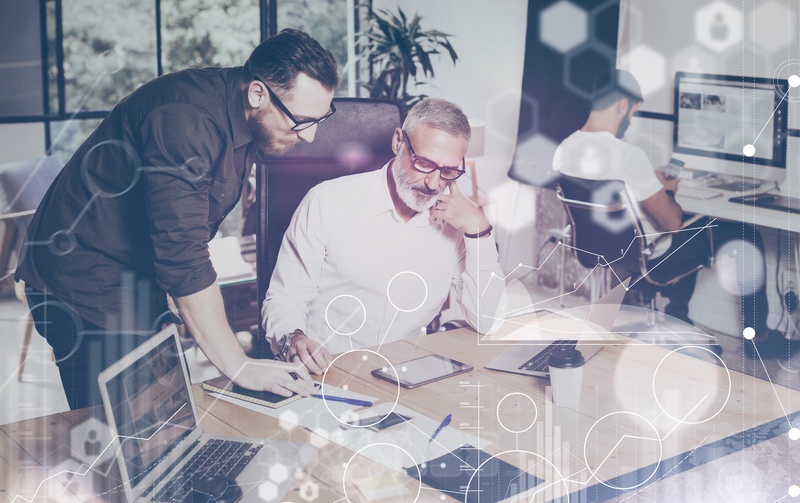 For some SMEs, a significant cultural change is needed to become a ‘digital organisation’ – where everyone is focused on the customer experience and on board with doing things the ‘digital’ way. Break down any siloes by opening the lines of communication. Connecting people and information leads to collaboration and transparency, and ultimately an inclusive culture that breeds innovation. This is a critical success factor. Without it, you’ll end up with a divided company – one part moving into the future, and the other clinging on to traditional processes. Driving any sort of change in the organisation is not easy. That’s why digital transformation requires strong leadership and a shared vision. The key for any business looking to make digital changes is to just get started. It’s easy to get bogged down in the details, but keep in mind that there’s no ‘right’ path to digital transformation. If the customer experience is central to your strategy, and your team has a digital mindset – you’re well on your way there.